Some common complaints associated with aging are uneven skin tone (pigmentation, sun spots) and coarse texture of skin (weathered skin, leathery feel). UV light exposure, lifestyle, and pollution all contribute to overall look and feel of your skin. 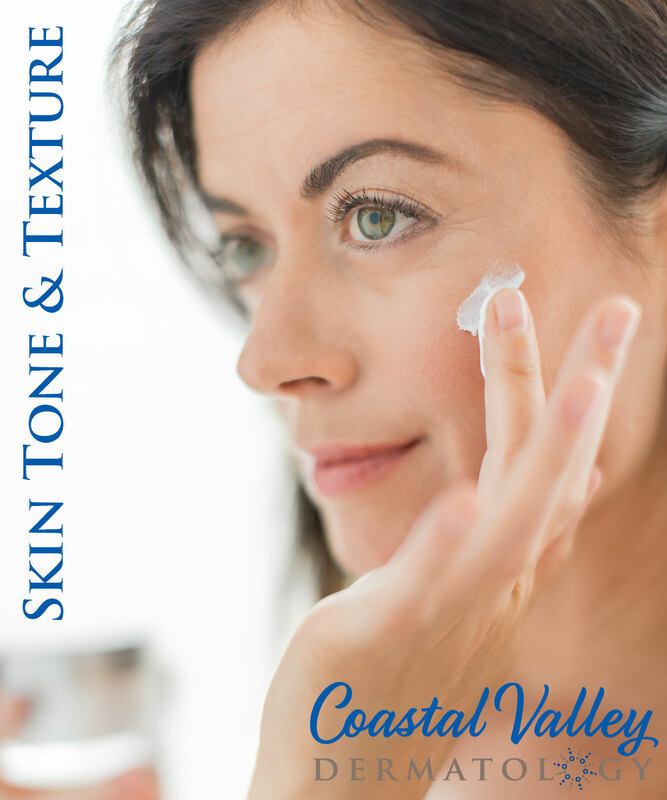 We have skin treatments available at Coastal Valley Dermatology to improve the texture and tone of your skin, making it soother and softer to the touch. Schedule an appointment at 831-293-8458 with Dermatologist Dr. Roya Javid to improve your overall skin tone and texture.